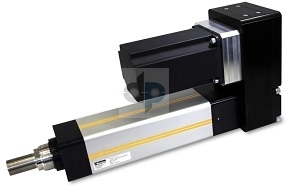 ETH125 high force electric cylinders offer an ISO frame and thrusts up to 25628lbs. The ETH125 Employs an oversized ballscrew & thrust bearing for long term reliability. With industry leading thrust/force density, the ETH is ideal for industrial applications and as a true hydraulic replacement.